According to the official schedule, The Field was supposed to play at 2:50pm. However, after a half hour delay, Brooklyn band Chairlift came out instead. I didn't recognize them until they performed "Bruises", which was used in this iPod Nano commercial. The schedule listed a "Special Guest" later on in the day, but I'm not sure if Chairlift was that guest. A pretty good performance overall with some great vocal work by singer Caroline Polachek. 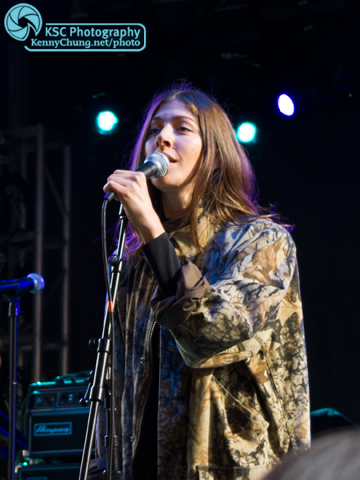 Chairlift hit the stage unannounced, leaving most of the audience a bit confused. 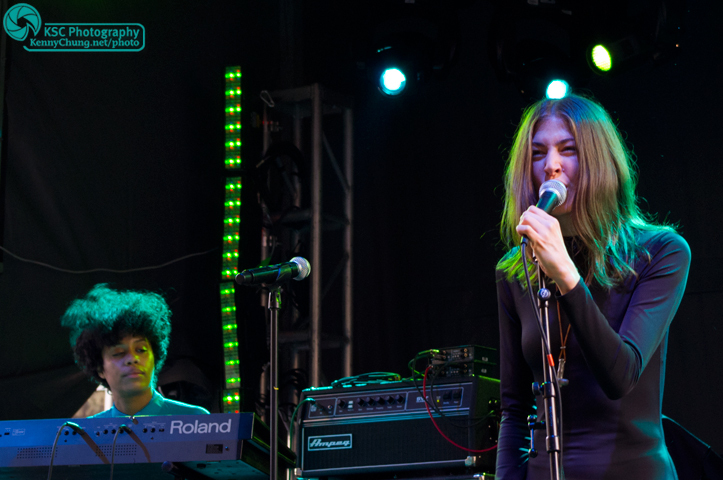 Singer Caroline Polachek and the band's synth player. 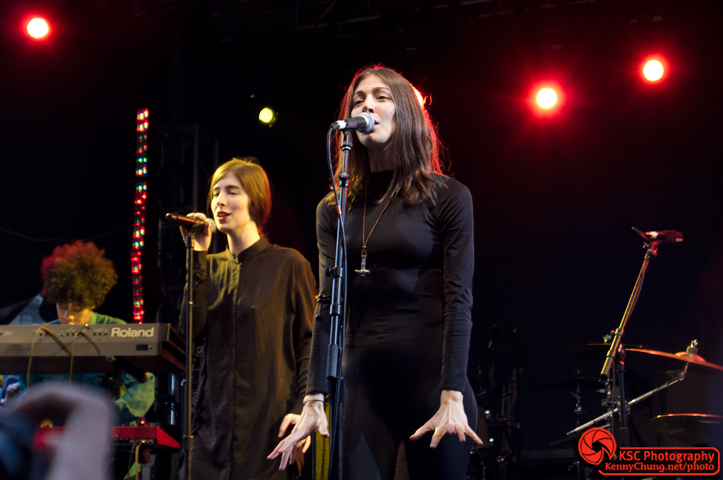 After a few songs, singer Caroline Polachek took off her jacket to reveal a full bodysuit. 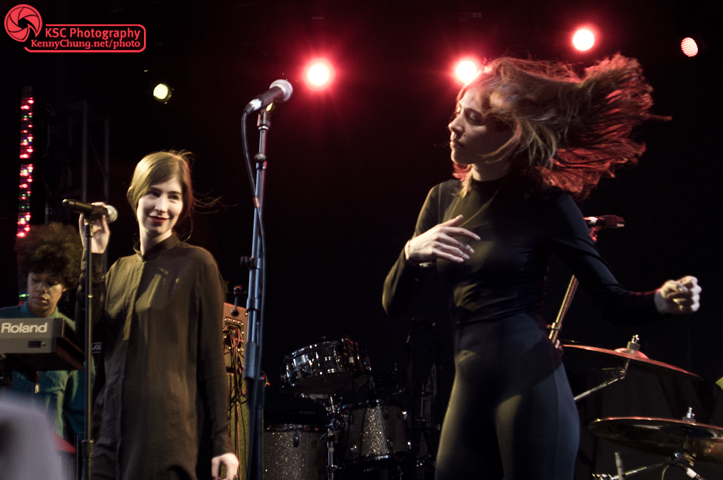 Caroline Polachek dancing while her backup singer watches. 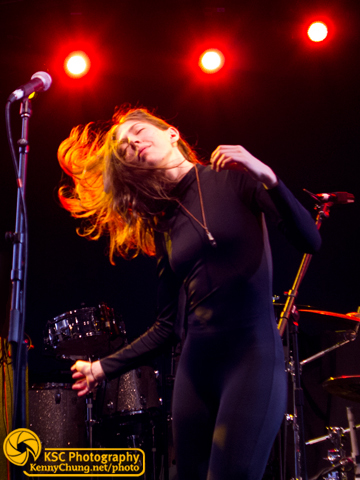 Caroline Polachek was having a lot of fun on the Archway stage. 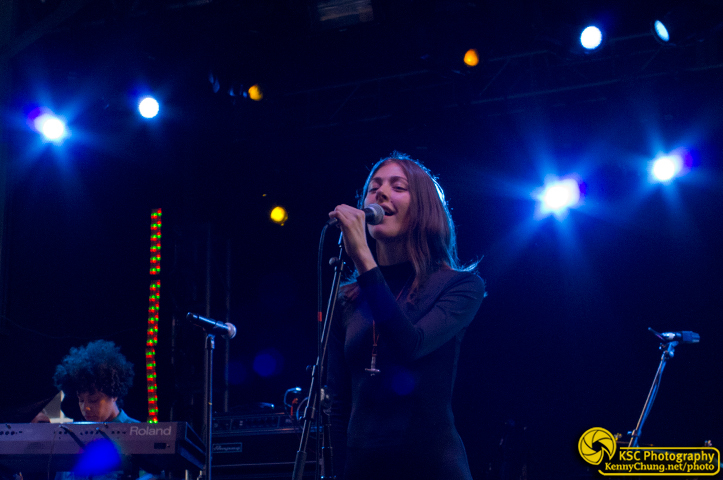 Caroline Polachek with her strong vocals. 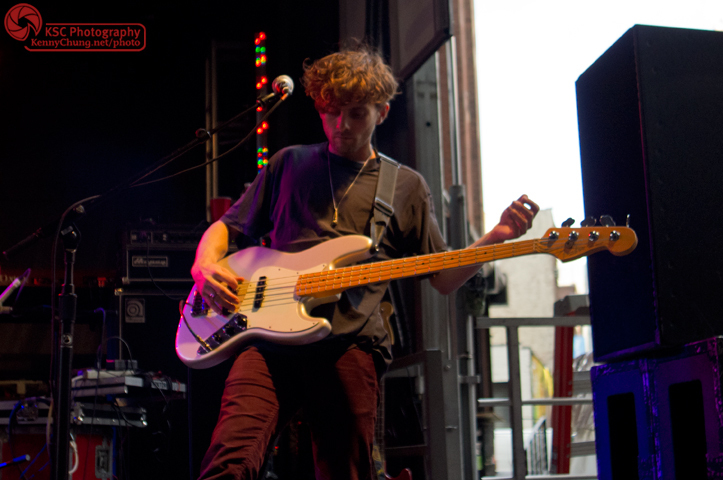 Chairlift finishing off their set at the Creators Project Archway stage.